Luckily Farmer Daniel is ahead of the game and under his direction I’ve already started sowing seeds to plant at the farm, as well as picking up a few tips on choosing varieties. There’s no point in growing veg that will go to waste, or expending time and effort on crops that are cheap in the shops. So try spring onions instead of bulb onions, and lettuces instead of cabbage. If you’re impatient or want to engage children in the process, focus on things that produce fast results and are easy to look after. Cauliflowers need a lot of space for a long time whereas new potatoes are quick and you’ll have the fun of digging them up! Success makes for a happy gardener, so consider what will grow well with your soil type and climate, and look out for faster-maturing varieties which tend to do better in our short British growing season. Throw some flowers into the mix; you’ll brighten up the garden and please the bees! Snapdragons are a personal favourite. They come in all colours and look equally lovely in the garden, in a vase, or even on a plate! The petals are edible so use them to garnish salad or ‘clip’ to the rim of a cocktail glass. Have fun in your garden with help of brunswicktreeservices.com! 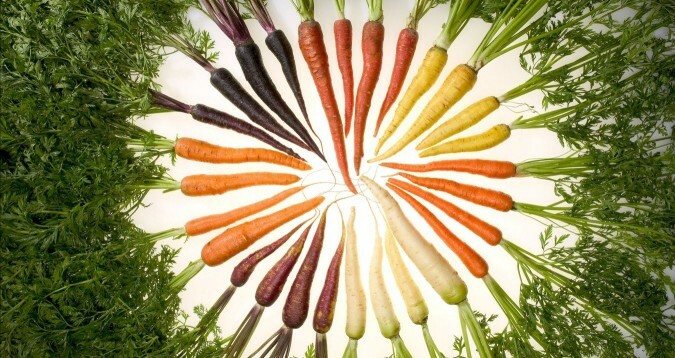 Try rainbow carrots, or even quirky kohl rabi which is well suited to the British climate. Sow it under cover in February to plant in your glasshouse in March, and/or sow it in March to plant in the garden in April. Harvest in May/June and enjoy it grated raw in coleslaw, or cooked lightly in a roast, soup or stew.